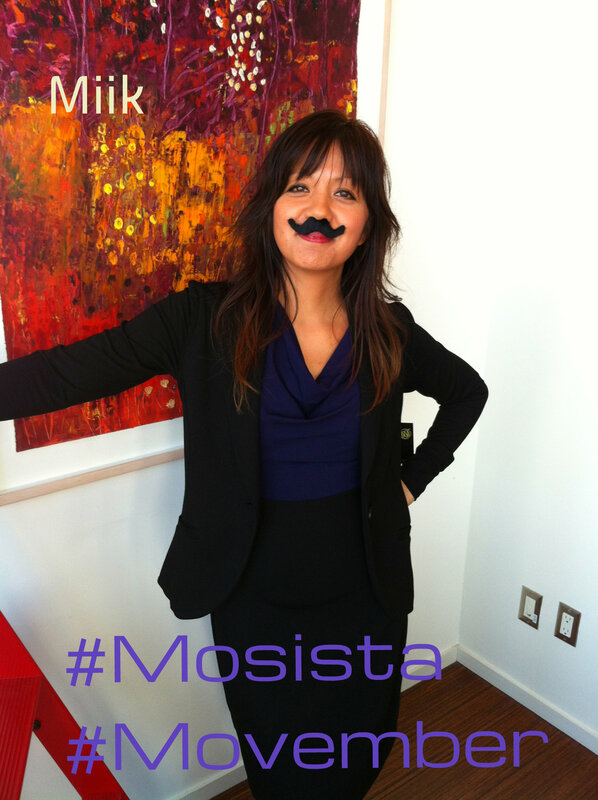 Thanks to Caron Court, I am now a #Mosista. 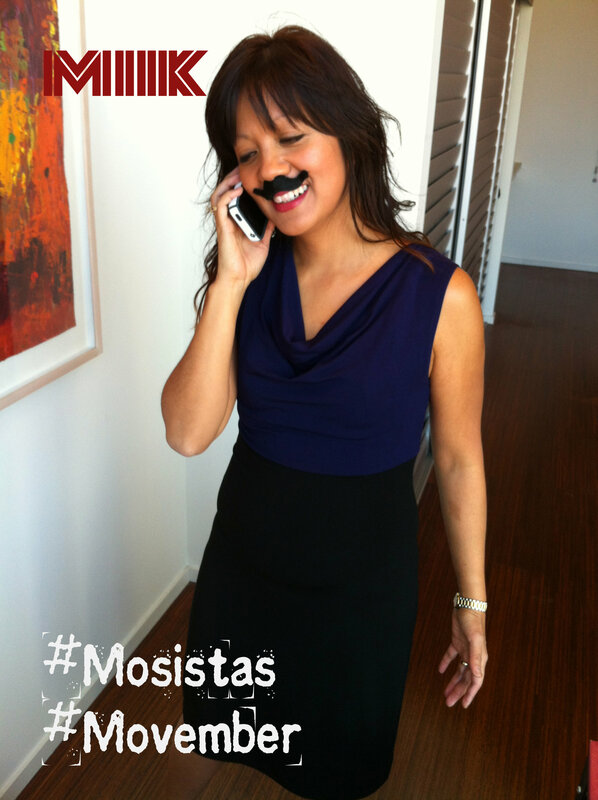 What turned out to be a friendly lunch between friends, brainstorming ideas about #Movember, actually became a fun venture. OK, so I decided to Miik-it (get it!). So, Michael Gaughan is a friend of mine. He and his lovely wife, Donna run this amazing clothing company called Miik and they produce some pretty cool clothing that I’ve purchased over the years. So I approached Michael and asked him if he would participate in Movember. That meant he needed to sponsor me. In return, I would model his clothing line and promote them through my networks. 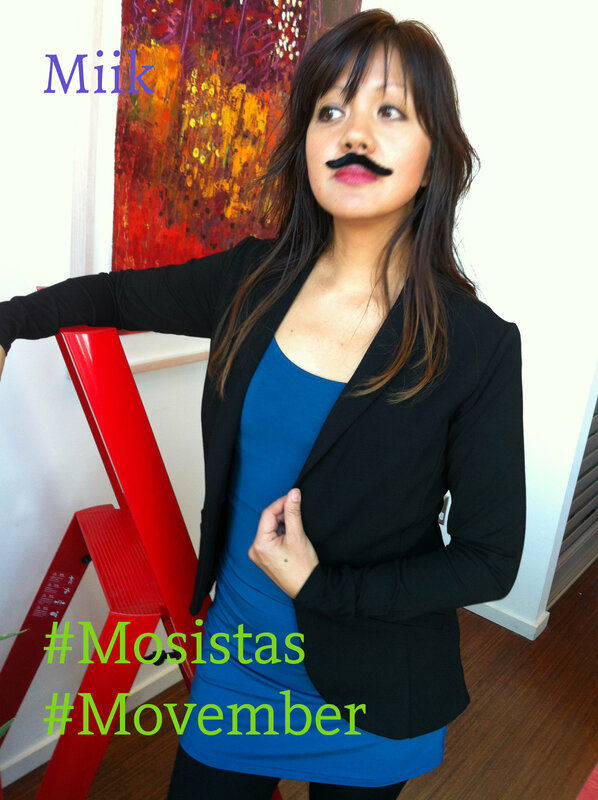 He not only agreed, he also told me that this month 10% of online sales would be donated to #Mosistas #Movember. Pretty cool, eh? So, I set out (outside of my comfort zone, btw) and was a model for a morning. It was pretty fun. Bonnie, Catherine and I just improvised and put together some pretty cool shots. I hope you enjoy them! go to Miik and purchase some of their fabulous clothing. It all goes towards a great cause! Miik is designed, milled and sewn in the Toronto area. Visit Miik for a complete list of retailers or to shop online. First up! Olivia Cowl-Neck Colour-Block Dress in black and deep purple. Click here for details. Emily Soft Blazer. Click here for details.